When you think of the Gran Canarias, you think “Exotic”, “Exhilarating” and “Expensive”. In all senses of the word, Gran Canaria is truly a paradise. Relatively dense in population, the Gran Canarias have tiny fishing villages sprinkled all over the rugged landscape. There are beautiful valleys hidden amidst towering peaks while Playa Ingles and Puerto Rico are too tantalizing to resist, for any nightlife-hound. The question, though, is how can you experience Gran Canaria without burning a hole through your pocket? There is a big misunderstanding that “Cheap Holidays” & “Gran Canaria”don’t fit in the same sentence. In fact, there are plenty of ways to enjoy everything, in Gran Canaria, without the travelling budget of the Emir of Qatar. 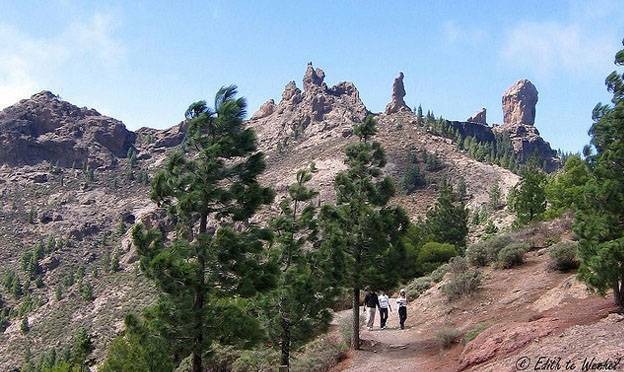 If you are the active and “sporty” variety, then look towards the wonderful Roque Nublo Park lies in wait. There are some excellent walking & biking routes that take you through the dense and weaving forest trails. The views are fantastic and you can go for hours without human contact. All you need to do is spend a tiny amount on renting bicycles and you’ve got all you need. 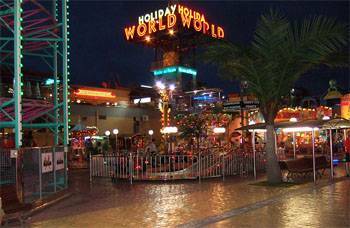 Maspalomas comes alive thanks to its beautiful Holiday World theme park. There isn’t a dearth of things to do and the best part is, the theme park and the best part is that entry is free. From weekend street parties to daily shows. There are traditional rides as well, which require you to buy a pre-paid card for points. The card is transferrable so one card is good enough for the entire family. Food is a specialty of Gran Canaria and if you are looking for some excellent fare at cheap costs, then head down to one of the many quay-side restaurants that line Puerto Mogan. The water-front offers plenty of options when it comes to pricing and if you don’t have the budget for the fine dining establishments, then head on down to the ones that suit your budget. The food, mind you, doesn’t drop in quality although the presentation and setting may not be as polished. If you are looking to spend some quality time with your children, then head on down to the beach. Pick up a bucket & spade and make sure you have all the sun cream & ice cream you need. While some of the beaches are frequently graced by nudists, there are plenty of family beaches to go ‘round. Then there’s the shopping! 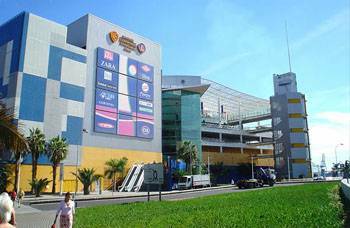 Just because you are looking for cheap holidays in Gran Canaria, you should not have to forego this essential part of any holiday. Las Palmas and Calle Mayor are ideal for some fantastic strolls through quaint marketplaces. Stores, in these places, sell beautiful traditional items but you can also get your hands on some cheap duty-free designer labels as well as the famous banana-leaf souvenir. Finally, if you are looking for something cheap and easy, then how can you leave Mother Nature out of the picture? Stone barbecues and picnic tables have been already placed in some brilliant locations for your enjoyment. All you need to do is step out there with your provisions & food, and nature puts on a beautiful show filled with green trees, breathtaking sights and unbelievable visuals. You will never have such a meal, at such a grand scale for cheap or free, ever again! If you are thinking of heading out somewhere for a quick or cheap holiday, do not underestimate the value that the Gran Canaria has to offer. Just because the island is listed under “Exotic Holidays”, it doesn’t mean that you have to worry about paying out of your nose for every breath. Every location has its hidden jewels and if you are looking for a cheap holiday in Gran Canaria, you won’t need to look too hard.